Can Red Dead Redemption 2 Avoid the Pitfalls of Being a Prequel? STARTING SCREEN | Red Dead Redemption 2 will undoubtedly be an amazing looking game. But there are some potential drawbacks to being a prequel. Prequels have tradtionally been the last refuge of a series that's out of ideas. When a series looks backwards for its story, it risks losing any sense of forward momentum and drowning in non-essential details. That's the challenge facing Red Dead Redemption 2 as it goes back in time to follow the Van der Linde gang in the midst of its murderous heyday. The gaming landscape is littered with prequels that struggle to escape the shadow of the original games. Back in 2002 we got Resident Evil Zero, a tepid story set just before the original Resident Evil. Aside from being overrun with leeches, it's mostly known for featuring one of the least popular protagonists in series history: ex-convict Billy Coen, an ex-con who hasn't appeared since. Like God of War: Ascension, Gears of War: Judgment, and other forgotten prequels, Resident Evil Zero was mostly stuck filling in the gaps. God of War was so bereft of ideas that it got no fewer than three prequels. It wasn't until Sony Santa Monica revived the series with a true sequel that it returned to the top of gaming's Olympus. The worst prequels are usually the stories that can't stand on their own. They're Wikipedia entries come to life, stories that exist to answer questions that nobody asked, like how Han Solo actually completed Kessel Run in 12 parsecs (no one cares). They're redundant by their very nature, serving only to fulfill the desire for More at the price of removing whatever magic and mystery it might have once had. Witness Fantastics Beasts: A prequel series that will comprise no fewer than five movies for no other reason than people want more Harry Potter. Even Halo: Reach, Bungie's famous last hurrah, is controversial in many quarters. Sure, it's a good "back to basic" campaign that dispenses with the Flood and includes many crowd-pleasing moments. But ultimately, it's a bit of fill-in fan service, which is exemplified by the fact that it ends precisely when the original Halo begins. The game itself brings many solid innovations to the Halo formula, but from a story perspective, it might have done better to stay a novel. So is Red Dead Redemption 2 doomed to feel stale and boring? Not necessarily. Here are three prequels that aren't just essential to their individual franchises— they're outright classics. Yakuza 0 works because it isn't reliant on knowing what happened in the other games to appreciate it. Like Red Dead Redemption 2, it follows younger versions of its protagonists, in this case Majima and Kiryu. Yakuza 0's Old West is 1980s Tokyo, which is a compelling setting just for the sake of nostalgia. Yakuza 0 manages to avoid falling into the trap of being Yet Another Origin Story while thriving on the weirdness that makes the series so special. It has proven to be the perfect gateway to the colorful world of Kamurocho, which is proof of how well it manages to stand on its own. Red Dead Redemption 2 would do well to follow its example. Metal Gear Solid 3 takes place more than 30 years before the events of the original Metal Gear Solid, but it still manages to feel like a step forward for the series. Aside from shedding light on many of the key questions from Metal Gear Solid 2, it introduces one of the beloved characters in gaming history: The Boss. It also dramatically expands the scope of the story, giving it roots in the endlessly fascinating period around the Cuban Missile Crisis. Metal Gear Solid 3 ends up being one of those prequels that's just so good that it doesn't matter that it's basically just an origin story. It has some of the best boss encounters in gaming history; some of the most memorable moments in the series, and a tragic hero. At this point, I'd wager that most people prefer the colorful Cold War setting of Metal Gear Solid 3, Peace Walker, and Metal Gear Solid 5 to the grimmer, greyer, more dystopian world of the present day entries. I know I do. Like Metal Gear Solid 3, Castlevania 3 is technically set long before the original story, but nevertheless manages to stand on its own while dramatically expanding the scope of its universe. And all this on a low-tech NES platformer. Impressive. Anyway, Castlevania 3 is where the series arguably came into its own. In introducing secondary protagonists like Sypha Belnades and, more importantly, Alucard, it laid the groundwork for much-loved entries like Symphony of the Night. It was also the most ambitious and technically advanced entries in the series to that point, introducing branching paths as well as the ability to switch between four characters with unique abilities. 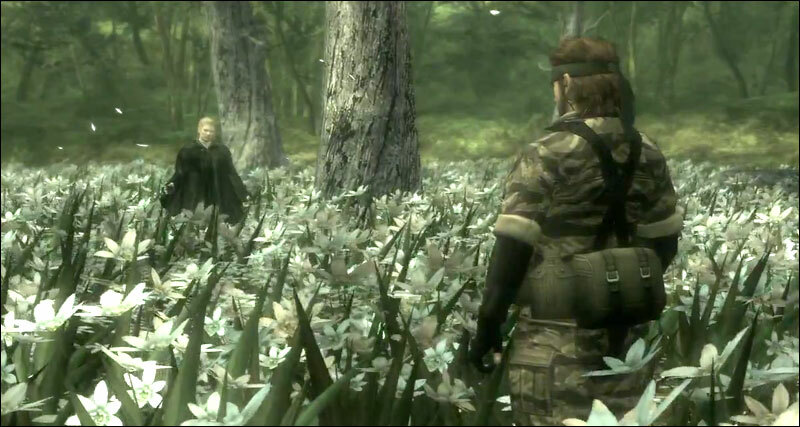 Metal Gear Solid 3 was a prequel, but it built on the original in many crucial ways. Castlevania 3, like Metal Gear Solid 3 and Yakuza 0, is ultimately successful because it manages to meaningfully build up its world while also being an entertaining game in its own right. If Red Dead Redemption is to mirror that success, it will need to make the other members of the Van der Linde Gang as memorable as Alucard. It will need to be willing to play with series conventions in the same way as Metal Gear Solid 3. And it will need to offer fresh and inventive takes on familiar characters in much the same way as Yakuza 0. Because we already know how that John Marston's story ends in a hail of bullets. We know what happens to the Van der Linde Gang, too. Red Dead Redemption 2 will undoubtedly be one of the most technically accomplished and ambitious open world games ever made, but that doesn't make it immune to a bad case of prequelitis if it can't find fresh angles on previously established elements. We'll be able to see for ourselves when Red Dead Redemption launches this Friday. When it finally does arrive, hopefully it'll be more Yakuza 0 than God of War: Ascension. Red Dead Redemption 2 [Xbox One, PS4, October 26]: Well here it is. After eight years of waiting, Red Dead Redemption 2 will finally be out this Friday. It will almost certainly get a 90+ score on Metacritic, but will it actually stand up as a classic? As I said above, a lot will depend on whether it can avoid a case of prequelitis. Thronebreaker: The Witcher Tales [PC, October 23]: Gwent started hot, but more or less flamed out during its beta. Thronebreaker is an attempt to add a strong single-player component to its card mechanics. As for whether it's successful, we'll have additional thoughts tomorrow. Castlevania Requiem [PS4, October 26]:Symphony of the Night and Rondo of the Blood make their way to the PS4 as a much-requested twofer. Unfortunately, by all accounts it's just a quick and dirty update of the now decade-old PSP versions. Oof. Fallout 76 Beta [Xbox One, October 23]: Impatient for Red Dead Redemption 2? The Fallout 76 Beta ought to keep you busy when it kicks off tomorrow afternoon. That is assuming that you preorderd it... and you own an Xbox One. The PS4 beta won't be commencing until next week. War is Hell, but the soundtracks accompanying wartime media are usually amazing. I called Valkyria Chronicles 4 "World War Anime" last week, and I think it's an apt description, but I generally enjoy this nutty game. I very much enjoy its soundtrack too, though I'm especially fond of A Moment of Quiet. True to its name, A Moment of Quiet accompanies the cast's peaceful interludes. I particularly like the quick build-up at 0:44 that leads into the flutes at the minute mark. A Moment of Quiet usually plays at the conclusion of a Squad Story and helps wrap up the lessons the soldiers learn about each other and themselves. That sentence probably makes the Squad Stories sound like after-school specials from the '80s, but they're nice, and so is A Moment of Quiet. It's like...pouring a soothing cup of tea into your ears, but without the terrible burning and / or ear infection that'd come with pulling such a dumb stunt. Kitty Horrorshow has made a number of excellent horror games over the years, my favorite easily being Anatomy (which I highly recommend seeking out). 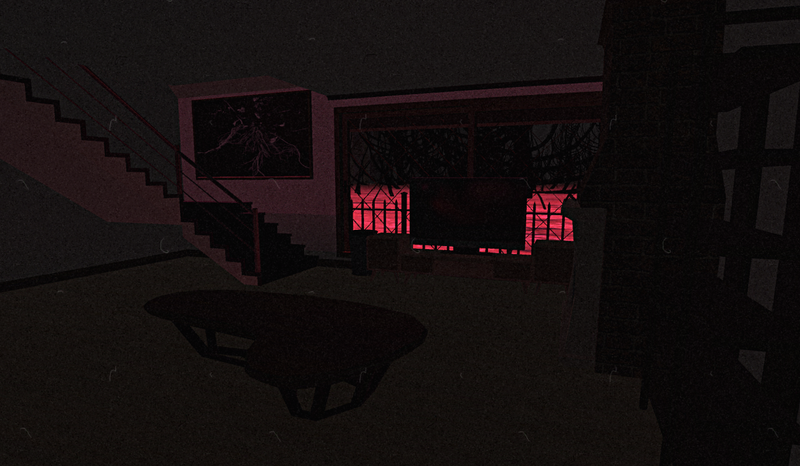 Her latest is another installment of her annual Haunted Cities collection, a gaggle of short experimental games—all with different terrors lurking around the corner, and different art styles too. Volume 3 of Haunted Cities is no exception to Horrorshow's signature atmospheric focus either. You can download Haunted Cities Vol. 3 on itch.io for PC, Mac, and Linux for free. Slap on those cowboy hats and break out your cowboy emojis because it's cowboy week, yeehaw! And by cowboy week, we mean Red Dead Redemption 2 is just over the horizon. 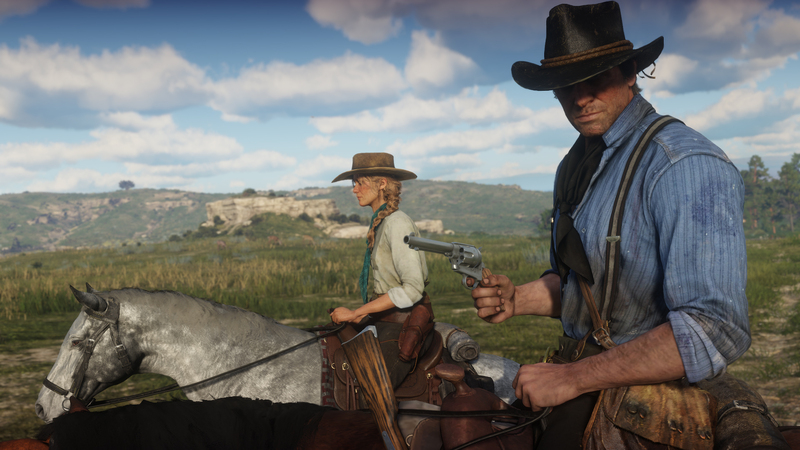 Last week, Caty wrote about her favorite moment in its direct predecessor: the music cue where "Compass" plays as John Marston rides home. In the lead up to this Friday's release, we have a handy everything we know guide for the sequel too. Of course, look forward to our Red Dead Redemption 2 review later this week. Assuming you didn't scroll straight past this week's opening op-ed, you may have noticed an embedded video from Red Dead Radio Online. This is part of a new partnership with the excellent Jared Petty, formerly of IGN, now a contributor to Kinda Funny in addition to his own projects. Jared is going to be diving extremely deep into Red Dead Redemption 2 over the next several months, and we're going to be sharing his videos in our articles and through social media. Please look forward to them as we get closer to Red Dead Redemption 2's launch on Friday. The excellent fan translation for Mother 3 celebrated its 10th anniversary last week. The game's translator, Clyde "Tomato" Mandelin, looked back on the long struggle to bring the game to a waiting Western audience, which inspired Nadia to look back on how the sometimes-brutal game affected her. Looking for a good war story or three? Nadia examines how Valkyria Chronicles 4 helps endear players to its extended cast through its "Squad Stories" side-quests. While Rockstar is readying for the launch of Red Dead Redemption 2, questions remain regarding the company’s policy on crunch in its workplace. Last week Rockstar allowed certain employees to speak publicly about their experiences with crunch including one anonymous QA tester at Rockstar Lincoln who explained that following a meeting, crunch is no longer mandatory at the Rockstar branch. However, this raised more questions than answers as Rockstar claims crunch was never mandatory for employees in the first place. An old controversy resurfaced last week when Insomniac announced that puddle stickers will be added to Spider-Man PS4’s popular photo mode. The stickers were a direct jab at puddle-gate, which was that one time some people on the internet thought Spider-Man underwent a visual downgrade based on a sudden lack of puddles in the Spider-Man release trailer. On Friday, Soulcalibur 6 released. Mike reviewed it, noting that while it hasn't stunned him like other fighting games in recent years, it's still a solid outing for the Soulcalibur series. With a new Soulcalibur, of course, comes a new create-a-soul system. And boy, the souls people are creating sure are disturbing. Axe of the Blood God: Yes, everyone can't wait to play RDR 2, but right now I'm quite a bit more keen on Persona 5. I talk about that as well as add KOTOR to the Top 25 RPGs List in the latest episode of the RPG podcast. Subscribe here! Tagged with Feature,	Starting Screen.